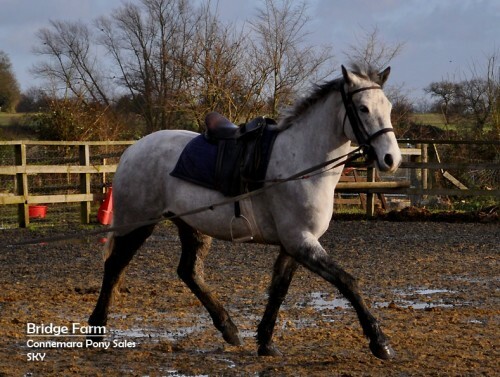 Sky is a lovely 5yr old Grey Connemara gelding standing 14hh. 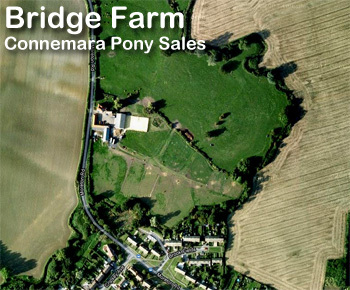 He was bred in Southern Ireland on a County Mayo farm and is currently backed and has been hacked out over Bridge Farm. 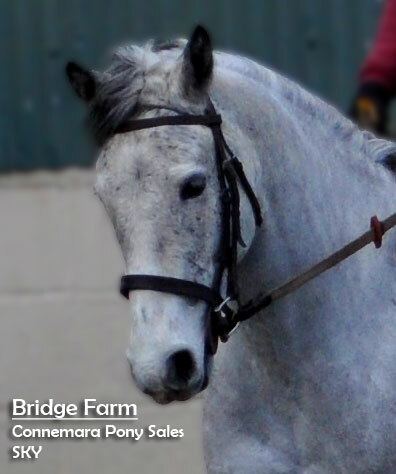 Sky is a gentle, well mannered Connemara gelding with good presence. He shows good straight movement over trotting poles and has started jumping. 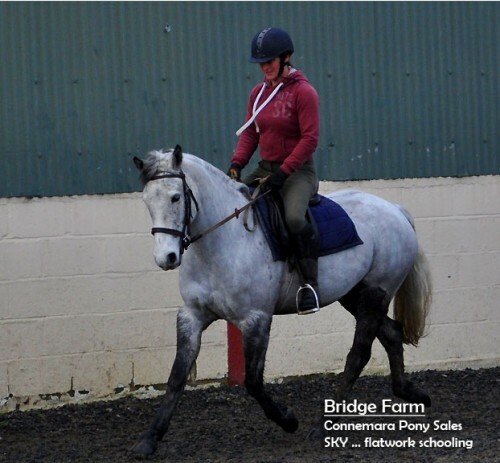 We believe Sky will make a good WHP & all rounder and we are looking for a good home for this lovely Connemara pony. 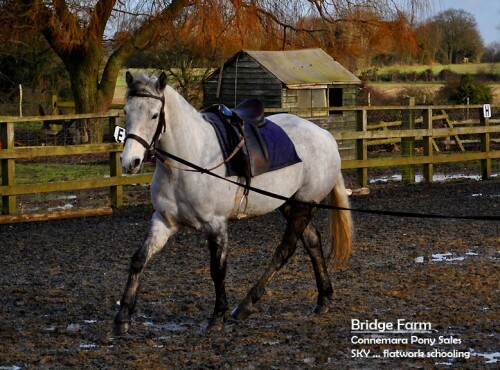 Asking a very competitive £SOLD for this very nice horse. Very pleased with the vetting, vet couldn’t fault him at all! 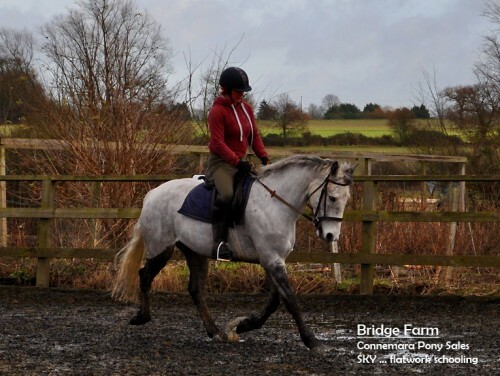 No-one is more excited then Emily about bringing Sky home on Friday … she is so happy, she really did love him to ride. Think that bond is forming already :). Summer is going to be busy for Sky with lots of schooling of one kind or another showing him the world, taking him to some low key events to watch first & take in, but by the end of the Summer I’m hoping he will be enjoying the PC lifestyle. Will keep you updated on his progress and success. Belinda thank you so much for all your help answering every question I had, being so honest with us and letting us fully try him with no pressure till we were satisfied he was what we wanted for Emily!